Along with Soka Gakkai and Nichiren Shoshu, Nichiren Shu is one of the largest sects of Nichiren Buddhism. A Nichiren Shu priest explains the tradition’s roots, practices, and basic teachings. 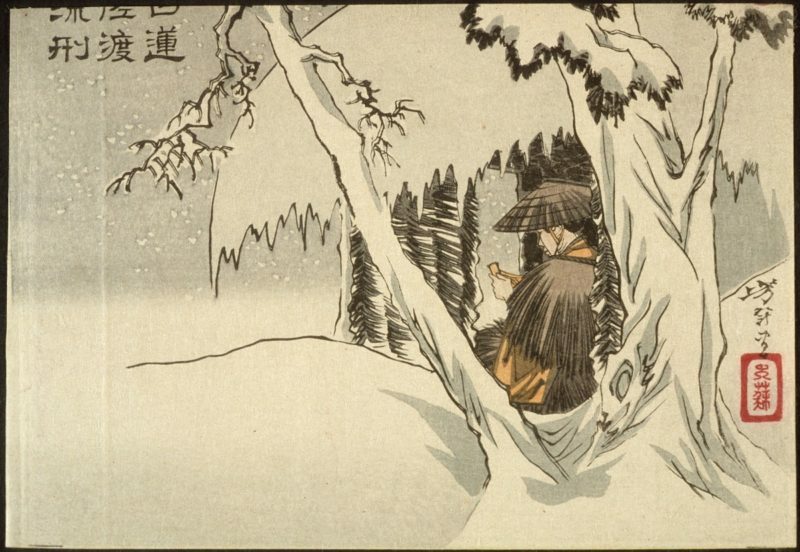 Nichiren Shonin in exile on Sado Island by Tsukioka Yoshitoshi (Japan, 1839-1892). 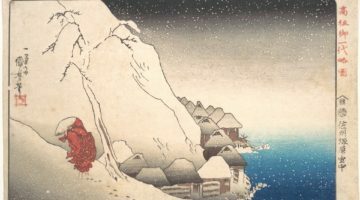 The Japanese tradition of Nichiren includes all Buddhist schools that trace their origins back to the letters of Nichiren Shonin, a thirteenth-century Buddhist priest. 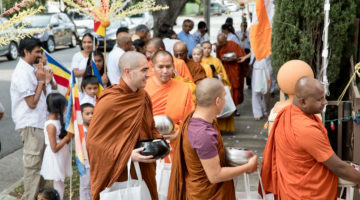 While all the schools within the tradition uphold the Lotus Sutra as the Buddha’s most important teaching, each one has its own distinct traditions and practices. The school of Nichiren Shu originated in Japan’s Kamakura period (1185–1333), an era of the country’s history that saw the birth of the samurai and the establishment of feudalism. Nichiren Shonin, originally named Zennichimaro, was born in 1222 in a small fishing village in the present day Chiba prefecture, located east of Tokyo. According to tradition, Nichiren entered the local temple at age 11 and became an ordained Tendai monk at age 16. During his studies, Nichiren constantly sought the essence of what he believed the Buddha wished to teach every sentient being. After finding the Lotus Sutra, he came to regard the text as the Buddha’s one true teaching. 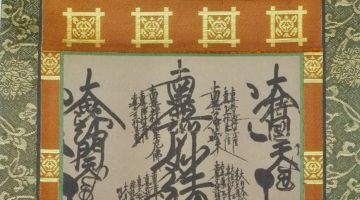 Over the following years, Nichiren tried to convince the government to switch to the teachings of the Lotus Sutra, but they didn’t heed his plea. Instead, they persecuted him relentlessly. While the persecutions took a toll, each instance helped solidify Nichiren’s belief that he was on the right track. He stopped trying to convince the government to embrace the Lotus Sutra and started laying out his vision of the true dharma in his writings and treatises. Following his death in 1282, six of his disciples carried on Nichiren’s tradition, eventually splitting into various schools based on ideological differences. Centuries later, in 1876, the school of Nichiren Shu was legally formed as a religious body after government intervention and various splits within the existing Nichiren traditions. The Meiji Restoration of 1868—when practical imperial rule was restored in Japan—led to the separation of Buddhism from Shintoism, which had been previously intimately connected. In 1872, the new government forced all Buddhist temples into one of seven major schools, and the many lineages of Nichiren Buddhism united under the umbrella of Nichiren Shu. However, without a universally accepted doctrine, several temples soon left Nichiren Shu and became independent, one of these groups later becoming the school of Nichiren Shoshu in 1912. Nichiren Shu was brought to the west by Japanese Buddhist immigrants as a way for them to continue practicing their religious tradition. In recent years, an increasing number of Westerners have become practicing members of the school. Nichiren Shu encapsulates many different viewpoints and thoughts, and while there are numerous offshoots, lay groups, and sanghas, the school is grounded in several distinct practices. First, Nichiren Shu practitioners chant and recite all 28 chapters of the Lotus Sutra. 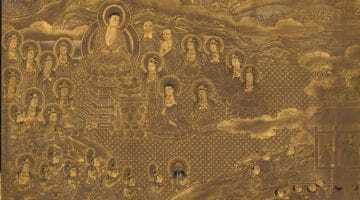 Other sects of Nichiren focus solely on a portion of the Lotus Sutra, such as chapter 16 where Shakyamuni Buddha first proclaimed his eternal nature. However, we recite the entire sutra because it assures that everyone—good, bad, rich, poor, monks, nuns, men, and women—can become buddhas. I am not your teacher, you are mine. It is my duty to do my best in order to help everyone spiritually. The main practices of Nichiren Shu include chanting the mantra Namu Myoho Renge Kyo (translated as “Adoration to Sutra of the Lotus Flower of the Wonderful Dharma”), reciting various chapters from the Lotus Sutra, and reading invocations and prayers. It is a wonderful feeling when we meet at the temple to chant together, but anyone can chant anywhere at any time. Chanting quietly in your mind while riding the bus is okay. Daily morning chanting in front of the home altar is recommended, but not required. Nichiren Shu also includes a form of meditation called shodaigyo or “chanting meditation.” After a period of quiet contemplation, we begin to repeatedly chant a mantra, starting slowly and then gradually picking up speed, then gradually slowing down. Afterwards, there is another period of contemplation as we let the echo of the mantra reverberate through us. There is a phrase in Japanese, “Ten Chi Jin,” which translates as, “Heaven, Earth, Self.” By chanting the mantra, we are getting in touch with our inner buddha, to help it sprout and grow. As we grow as buddhas, we are better prepared to help others grow their inner buddha through our actions and words. The hope is that one day we will all become buddhas. Shoda Douglas Kanai, Shonin is the head priest of the Nichiren Buddhist Kannon Temple of Nevada, a branch temple of Nichiren Shu. He is currently the only American priest that has completed the 100 Days Acetic Training twice.